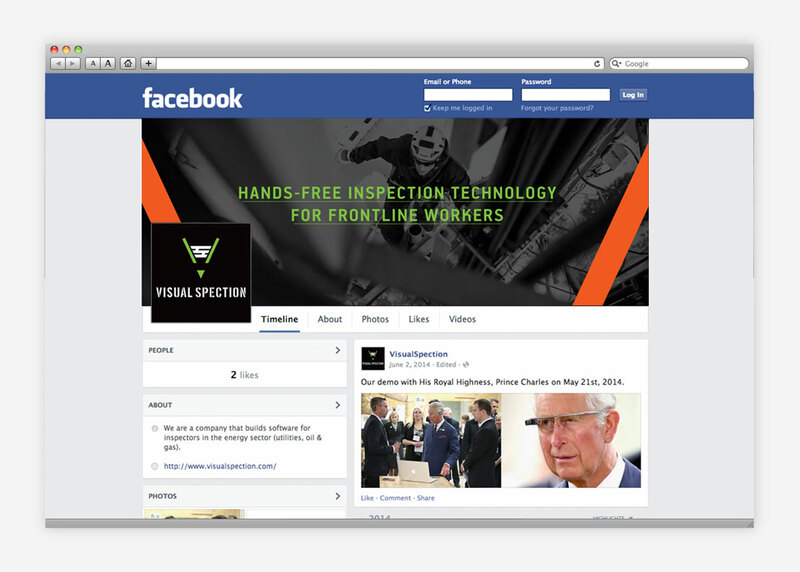 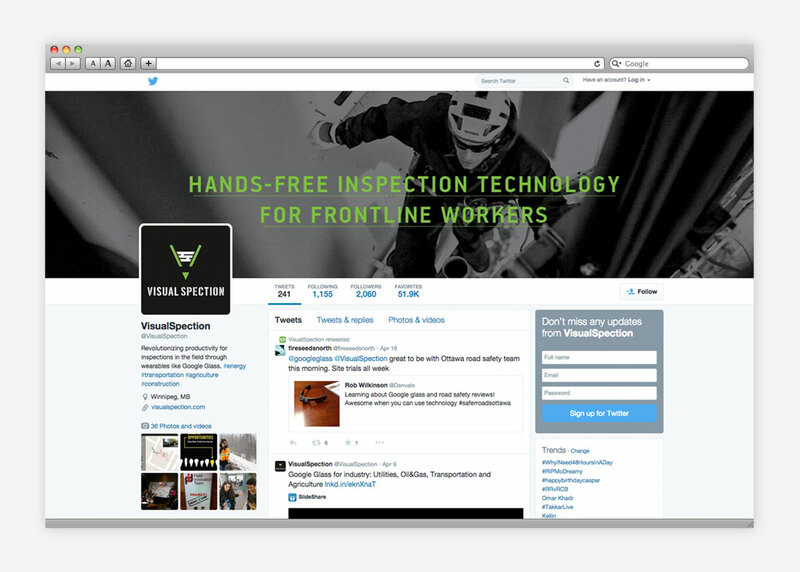 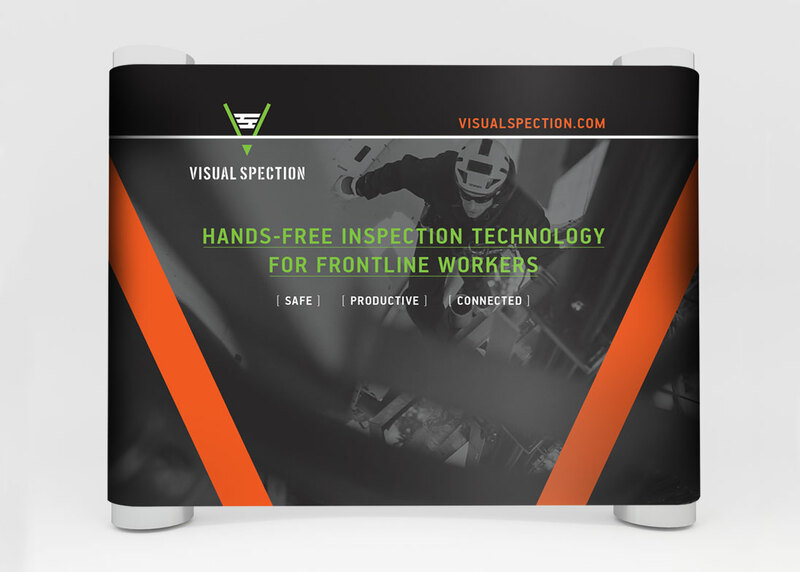 VisualSpection makes hands-free inspection technology, using wearable tech such as Google Glass, to outfit workers in the energy sector. 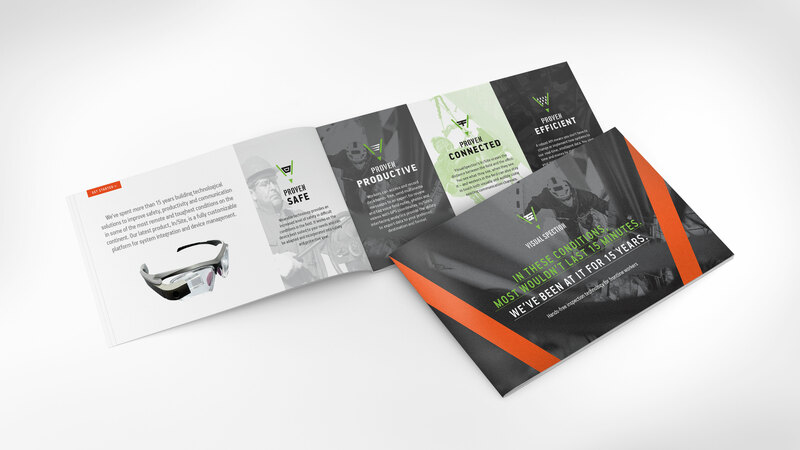 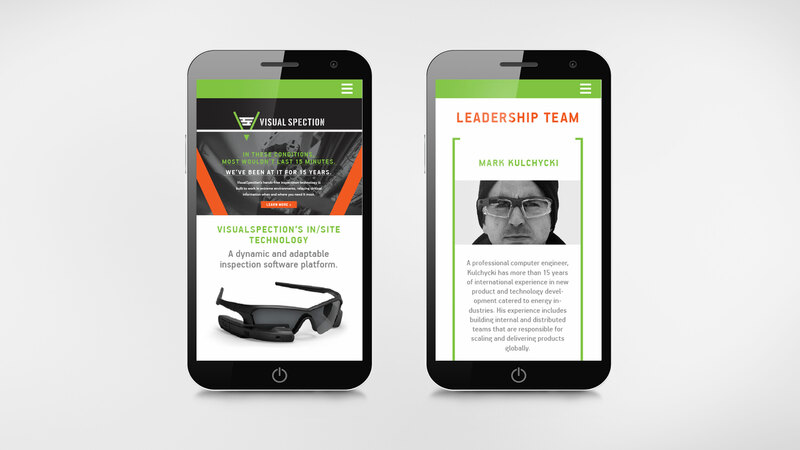 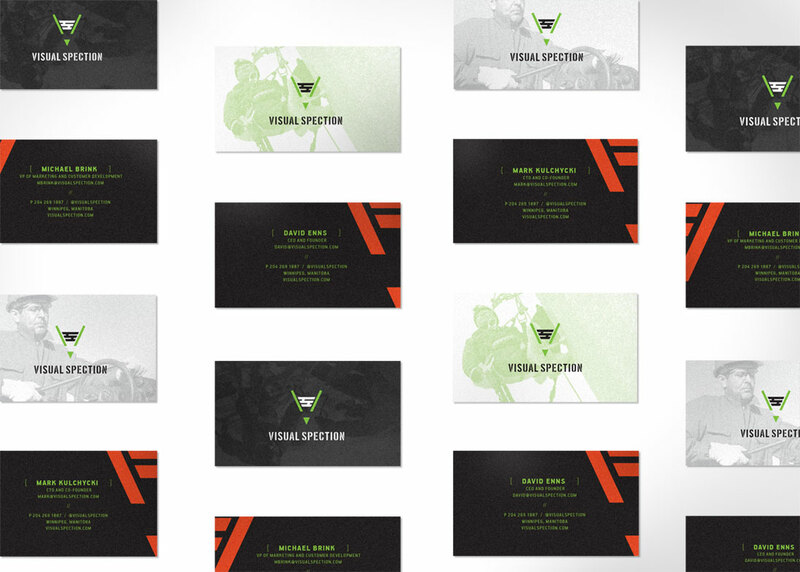 While VisualSpection works to improve efficiency in fieldwork, they needed Relish’s help for an efficient identity to serve their growing company. 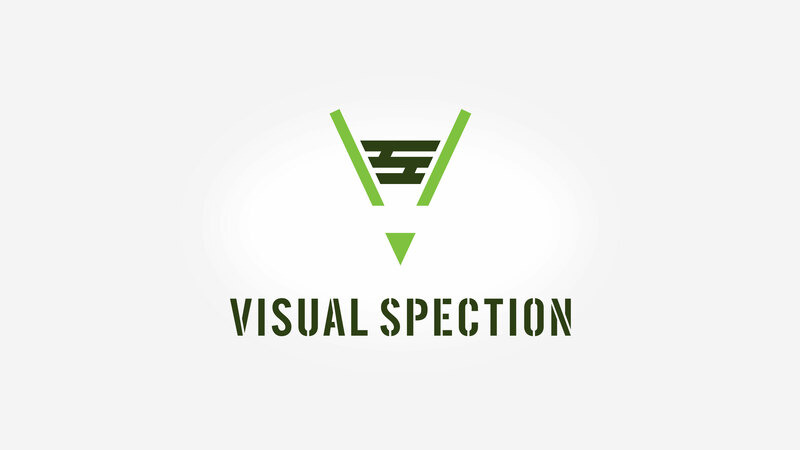 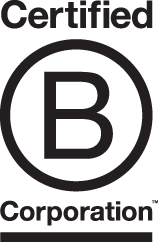 The logo incorporates the V and S of the company name, while its emblematic look also offers a nod to the superhero-type attributes of the men and women working in extreme conditions where VisualSpection’s product is put to use. 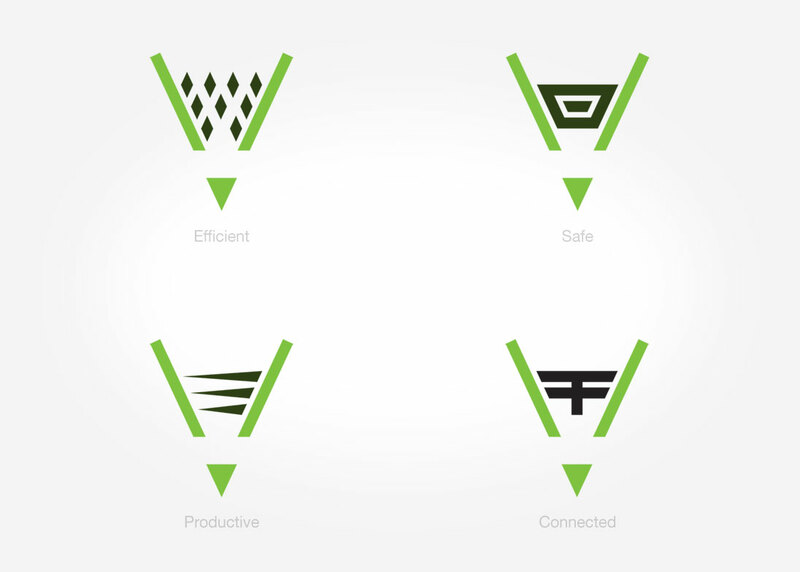 The lines contained within the V also echo the appearance of power lines and scaffolding found in the industries served. 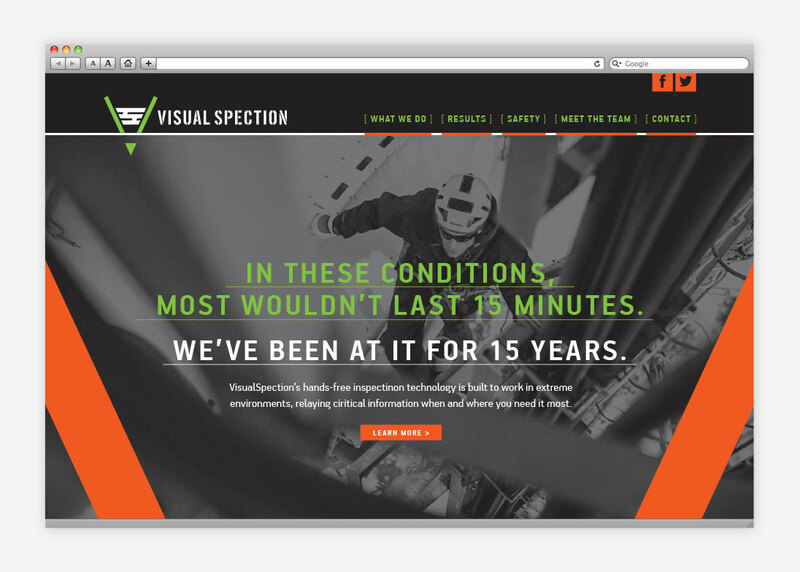 The vibrant orange used on the website and a new tradeshow display emphasize safety, like the colour commonly used for high-visibility safety clothing.